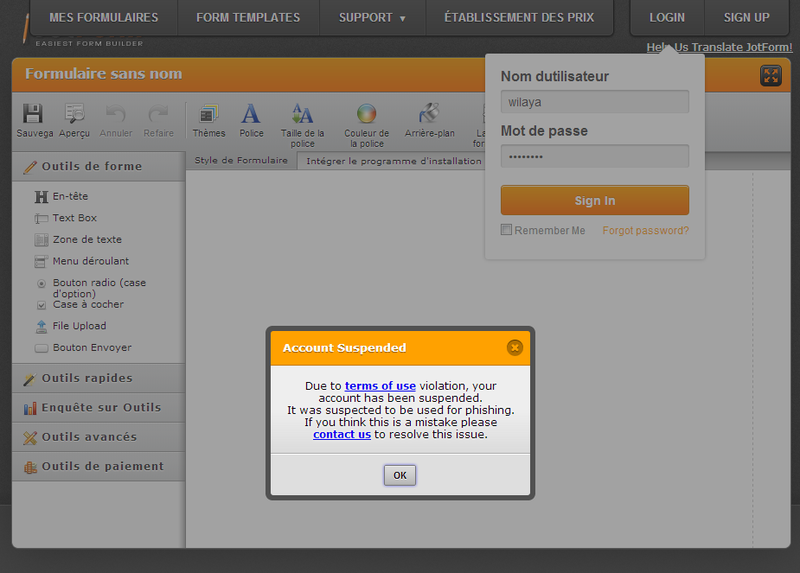 Our automatic phishing detection system has suspended your JotForm account. Your forms are currently disabled. Describe the purpose of your forms. If you have asked for username or password in one of your forms, please describe the reason. Provide the URL of your web site where you use these forms. We will try to resolve this issue as quickly as possible. I checked your account and see it's already in active status.